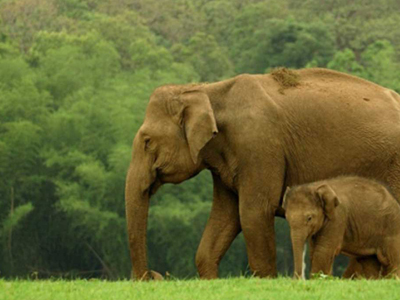 Sightseeing in Cochin including the Dutch Palace Treat your eyes to the beautiful scenery from Pothamedu view point Leisure walks in the tea estates of Munnar and Ooty Wildlife Safari at the Rajamalai national park City tour of Munnar including Thommankutthu falls Sightseeing in Ooty including the Botanical Gardens. 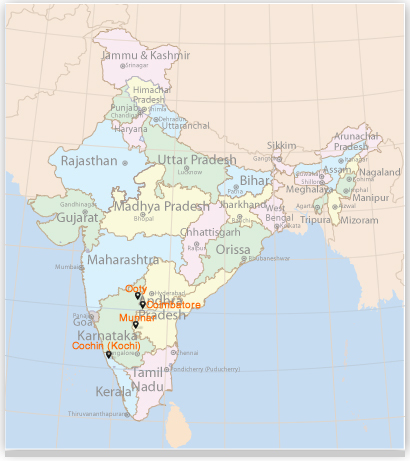 Once you arrive in Cochin, you will meet our representative who will help you with an assisted transfer to your pre-booked hotel. After lunch, leave for sightseeing. You will visit attractions such as the Jewish Synagogue, the Dutch Palace and St Francis' Church. The evening is fixed for attending the Kathakali performance. Stay overnight. On the second day of the tour, hit the road to go to Munnar where you are going to enjoy expansive tea plantations, beautiful towns, trekking, winding lanes, etc. Once you reach Munnar, check- in to your pre-booked hotel. Later, visit the Pothamedu view point from where you are going to have a mesmerizing view of the tea, coffee as well as cardamom plantations. Admire the surrounding natural beauty. Stay overnight. Have breakfast and leave for visiting the tea gardens of Munnar. 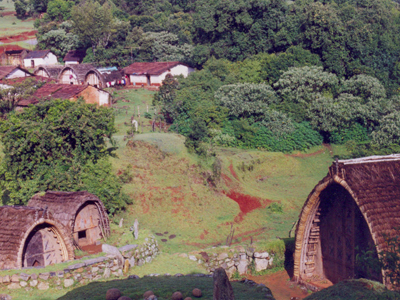 These lush gardens are which are laid on around hundreds of kilometers, nestled amidst the green mountains. Take a stroll around the place. After lunch, leave for sightseeing where you will cover. The Tea Gardens of Munnar are beautifully spread like a green carpet over hundreds of kilometers and are surrounded by lush green hills. Later go on a sightseeing of Munnar and visit Rajamalai national park, home to Nilgiri Tahr, an endangered species of mountain goats. Overnight stay. Day 4 of the tour will start with a visit to the tea gardens for enjoying a leisurely walk. Later, enjoy the surrounding natural beauty. Do not miss visiting Thommankutthu falls where you can enjoy fun activities as well as admiring the high mountains. Other attractions will be Echo point, Forest Rose Garden, Hill View Park etc. Stay overnight. 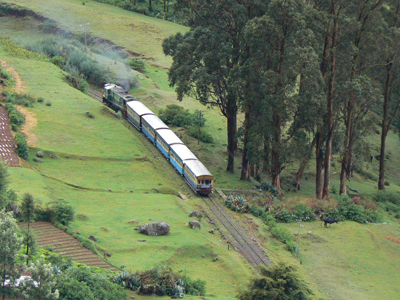 After breakfast, get transferred by road to Ooty, referred to as the 'Queen of Hill Stations'. 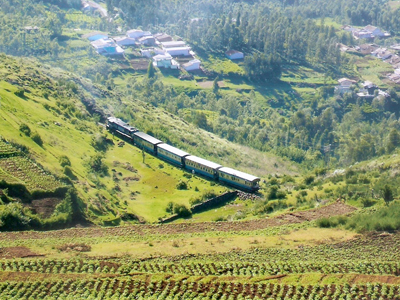 The route from Munnar to Ooty is an extremely beautiful one. Treat your eyes to the superb scenery, spread all around you. 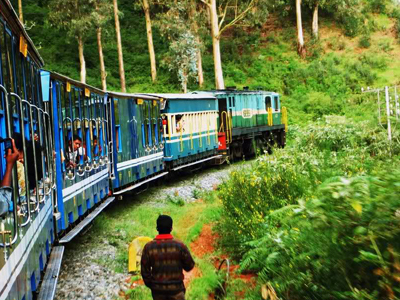 Located in the foothills of the Nilgiris, Ooty is one of the most famous hill towns in Southern India. After reaching Ooty, complete the check-in formalities in your hotel. The evening is at leisure. You can visit the local market, can taste the local renditions, can interact with the locals and so on. Overnight stay. Day 6 of the tour post breakfast is for partaking in sightseeing of Ooty. Your first visit is to the lush tea gardens of this beautiful hill town where you can simply enjoy a leisure walk or take-in the fresh aroma in the air. 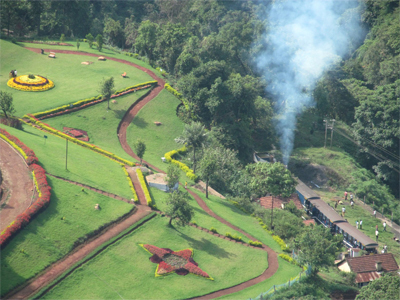 The list of other tourist attractions that you visit today include Botanical Garden- founded in 1848, this lush beauty is spread in 22 hectares of an area; The Rose Garden- the largest Rose Garden in India; Ooty Lake- an important attraction where you can also enjoy boat riding and lastly, Lamb's rock- offering some great views of the surrounding scenery. Overnight in Ooty. On the last day of the tour, have your breakfast. 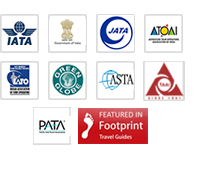 Thereafter, get an assisted transfer to the Coimbatore airport to board a flight for your onward destination.